To all who come to this photo trivia game, Welcome! Along the way, the photos can make us relive memories and see details Walt’s Imagineers put into everything we love in Walt Disney World! Happy Hanukkah! And Merry Christmas! 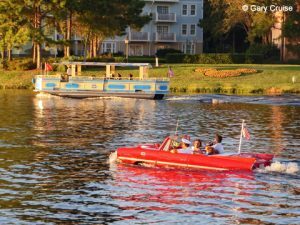 Now for Challenge #464 And here’s the answer: Copyright Â© Erin Blackwell The Amphicar Launch at … Continue reading "Where in the World #465"